If you have a 14-18 Street Glide or Ultra this is a serious upgrade to your fairing sound system. 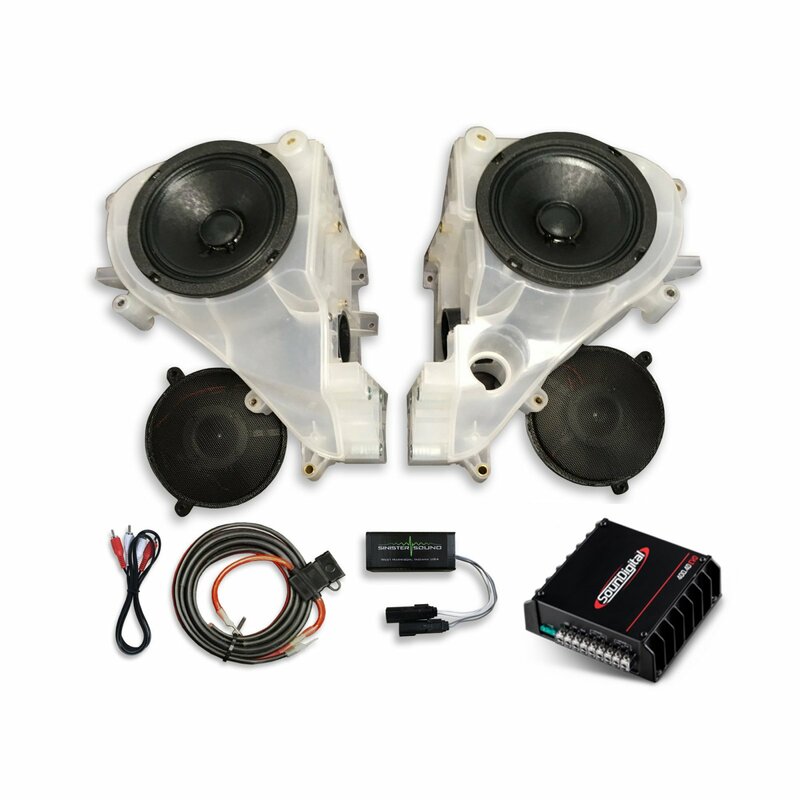 This package has the same SinisterSound speakers we run on our demo bikes, SounDigital 400.2D EVO 4 ohm amplifier, special line level adapter so you don't need to flash radio, crossovers, RCA cables, power and ground harness. Package comes with parts and templates to modify and reuse your factory enclosures.